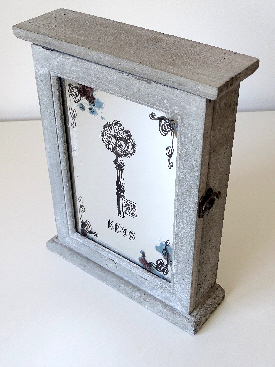 Attractive mirrored shabby chic style key cabinet with the wording: ‘Keys’ on the mirror. Made of wood & glass. Brass coloured door clasp Two metal eyes/hooks for ease of fitting. 6 x key hangers. For more info’ please follow this link £29.99. Thank you.